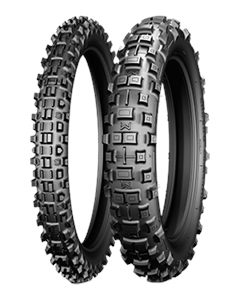 The tyre of choice for Husaberg rider, Mathias Bellino, World Champion in Enduro 2012 in the EJ category. Ideal for wintry conditions and early-season races. Its open tread pattern and tall tread blocks efficiently clear out mud and deliver outstanding cornering grip.